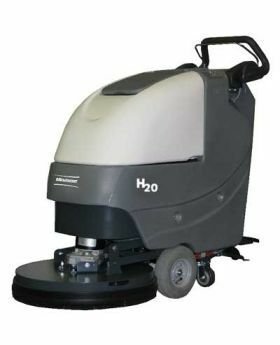 The H20 Hospital Vacuum offers excellent features for use in hospitals and other patient care facilities. Its 20" cleaning path covers 20,000 sq. feet per hour. 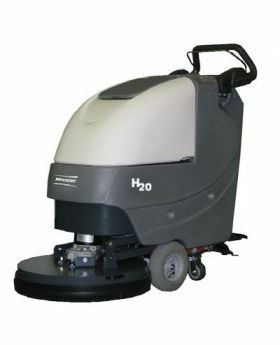 The hospital walk-behind scrubber features advanced technology, and new green clean features. This compact scrubber offers superb cleaning and makes scrubbing easy in tight spaces.